Pretty neat reenactment of an unlikely pairing. Mükemmel bir filmdi. Her duyguyu yaşatan nadir filmlerden. Oyunculuklar müthiş. Viggo Mortensen'i her gördüğümde ne kadar Aragornu görüyormuş gibi olsam da müthişti özellikle o italyan aksan çok karizmatikti. Öğrenilecek çok fazla şey var filmde. The criticisms about its racial politics are mostly valid, and it never really explores the problems it raises beyond the superficial, but as a predictable middlebrow character driven crowd pleaser it's superior to most recent Hollywood fare thanks to Mortensen and Mahershala, who really have strong chemistry as the stereotypical odd couple. They are playing types, but they breathe sufficient charisma and life into them, and their banter is quite humorous. Expectedly saccharine and full of cliche. I wonder when Hollywood will stop asserting never ending overall theme of white racist guy redeems himself and teaches a PoC guy about PoC culture. A feel good movie about racism? What a terrible idea. Ali is, by far, the best thing about this film, his presence offering a quiet dignity in the midst of the confusing and antagonistic world around him. Ironically, while the film is meant to engender pity for Shirley as he plies his talents in adverse circumstances, the film does the very same thing to Ali the actor, as we watch him having to use his talents in this mess of a film. This film is a complete contradiction. Expectedly saccharine, manufactured and manipulative. I enjoyed watching this movie despite all the controversies around it. Very surprised at how hilarious it was, and you can see the great chemistry between the two main characters. An interesting, though safe, road trip movie that doesn't repeat itself too much. The two leads carry the movie, with great charisma and believable in their delivery. The writing, however, was not so believable. Oscar bait in all the worst senses. 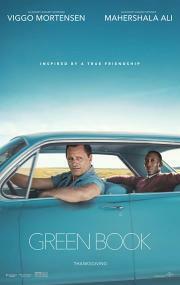 Essentially a buddy/road movie, Mortensen and Mahershala are quite good. But all the social consciousness piled on top of it isn't.... bridges were built, understandings were reached, fuzzy moments were had... ick. A feel-good film that walks the line between manipulative and amazing, with the latter being my experience. Carried by a stellar performance by Viggo, I smiled all the way through. My favorite movie of the year so far, which isn't saying much. A slow-moving but charming feel-good story loosely based off a real story. Did it deserve all the accolades and Academy Awards it got? Probably not. Was there anything new or risky in this? No. But it was still enjoyable and worth the RedBox rental. It didn't work for me. It started off fine, but at a dramatic moment it didn't pull it off for me and felt insincere and manipulative.